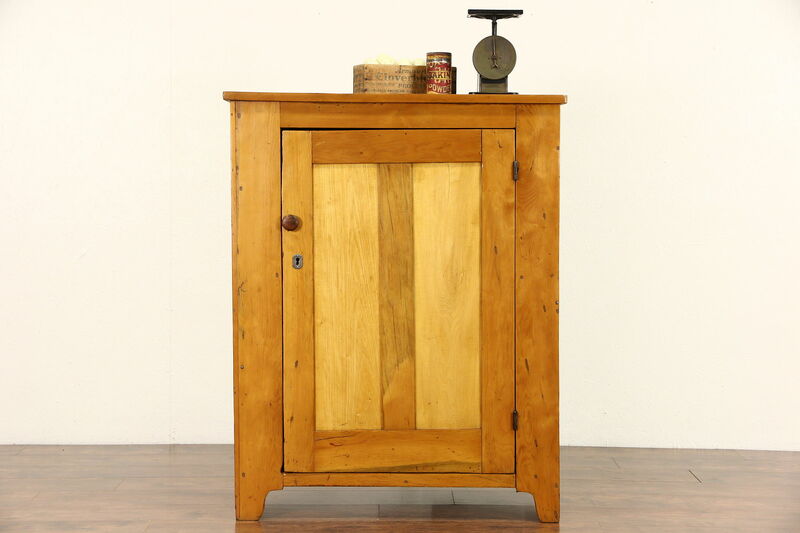 A country pine pantry cupboard was hand made around 1860. The restored glowing finish is in excellent condition, preserving a few mars for antique character. There is a warp to the door, which has old paint inside. Square cut nails are visible on this American made primitive furniture. Size is 38 1/2" wide, 17" deep and 48 1/2" tall. See 21 photos that enlarge to full screen size.